If both parents are Legacy Kukuis, does that mean the offspring is a Legacy Kukui or a regular one? Legacy import is something that was normal import before we made a new one ´v` Now the other import is the standard you must use unless you purchase legacy import use from shop. What does deaths egg look like? It reads in the event journal at the week 4 part. ´v`/ "The egg is black Kukuri egg with crackles that shine through divine, light blue light." I just noticed that this picture (Peach hunting) is in the Corrections folder, but there doesn't seem to be an admin comment to say what needs correcting. Was that a mistake? 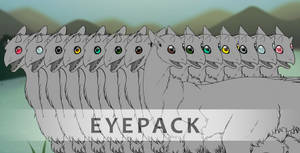 If I wanted to change one of my kukuris pupil shapes, would that be too big of a change and require an item for update? Every drastic change will need atleast alteration scroll, and more depending on the changes made ´v`/ This would need only alteration scroll if you touch only pupil. Can I keep one of my kukuri as a baby? If so, do I have to fill the import with the actual height and weight, or the adult height and weight? Is it okay to use the WBTT prompts on a non-wild kukuri if it'd fit the character better (eg. if a more interesting story to show would be the kuku growing up with their parent)? What age should I pick for my kukuri? since I just got her the other day I'm not sure how old she it. 1) What's the submission limit for activities? 3) If some of our imports are on the old base, can we update them onto the new base at any time? 3. If you want to update import lines, you'd need alteration scroll to do so! When I draw my first Kukuri for the fist time, do I draw the design similar to the parents? Or draw em by following the proof genetics info of my Kukuri? Oh ok... Is it ok if I can draw it instead of using the import? cuz I don't have Photoshop but only Medibang so I can't use the PSD files. 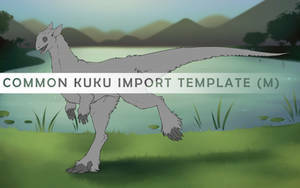 Unfortunately no, since Kukuris are a closed species they all need an official import. ´^` You could request a design from someone else, there are lots of design shops available in the group and also we have Design request where you can request a design from a member for free. Hmmm I also use Krita and I've notice that program can psd files. Is there a Bamboo forest? also is there any maps of locations that I can look? Will you be able to get the FoD Background Set in the shop for Cr after FoD has ended, ( For a limited amount of time, like one month. ) or is that hidden information? I tried to make a FP tracker and i don't know if i did it right. Can someone tell me please? Can a Celestial or Etherical rock be used to breed Infertile kukuri? Nope, infertile kukuris can't breed at all. I was wondering, would it be ok to divide up a story into multiple parts and count up the FP separately? Kind of like an FP sheet except with lit, where there are multiple sections in one deviation. Orion didn’t have the ability to respond, so he chose to ignore them. Opposable thumbs were useful when, as Arden put it, ‘rooting around in the dirt’, but it was easier to lift logs and boulders when feral. Besides, the two had wandered a decent ways away from home. It would be easier to just fly back when they were done. I know it can't count for activities, this is just for lore/FP purposes. Sorry Im new u.u Im trying to figure out my own design. Can a Piarie kuku with shadow marking have shadowy tiped feathers as well as the free min black? or nu and if not cant it hav min black then white at the very end of the feather tips? or feathers strictly body color only? Thanks much for help! Shadow does not affect feathers in non-dominant form, I'm afraid. This can be seen from the range images in the guide page! What comes to feather colors, you can find the information here, just scroll the page down to "Prairie feathers": Extra areas (Hands, feet, feathers). 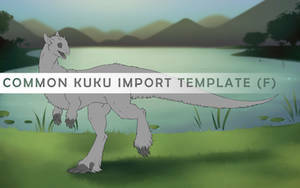 But basically feathers can have any color as long as it is within your kukuri's base color's allowed marking colors, you can find them here: Coat colors. I would like to add a golden tooth to one of my kuku and I was wondering, do I need to use an accessory blueprint for that? Or a scar and a blueprint? Can make make our Kuku blind from the beginning (design them blind) or do they need to have acquired it in some way? As a gryphus accumulates more reputation points, they can sometimes collect special rewards. You can only collect these rewards once per gryphus, and may do so at the Elpida Bank and Trust. 50% chance of an empty Clutch. No chance of empty Clutch. Lore Design Contest [Closed-Judging]The contest is now closed! Thank you everyone for your wonderful, scary, horrible entries. Sikrinerk will be handing out your participation prizes shortly. Our lore team will be judging the contest over the next few days, so stay tuned and be safe out there! There are more dark spirits running around Tokotna than we originally thought. Hello! I am Sikrinerk! I chase the bad spirits. As of late, there have been many, too many. They multiply across the land like lemmings, but they do not taste as good. Hah! I chase spirits day and night but still there are more. They hide in many clever ways, their faces always changing. Have you seen any of these dark spirits? Hunting provides your Reosean and their companion food, pelts and currency. Meat hunting and Fishing are combined. ♦ At least 50% of the prey must be visible. Prey must be clearly recognizable. ♦ Images must be full body, colored with a background. Background needs to have some depth to it. ♦ A maximum of two different prey animals per a Hunting image. Each will be rolled individually. ♦ You may hunt on any of the continents. Just remember that the image will not receive a CP bonus for correct background if your Reosean is not from that continent. ♦ The art will be compared to the rest of the artist's gallery. It needs to be comparitive in effort, not per se in style. ♦ List of prey depends on the continent, read carefully! ♦ Literature entries must be 800 words minimum. Tribes"Hi friend! Beta Boon, here! This revamp of the Tribes is currently in a Beta Trial period. That means anything is subject to change after an observation period. Hold onto your hats, here we go!